A pulled groin muscle, or adductor strain, is a common injury, primarily among athletes. However, because many players choose to play through the pain and not seek treatment, it’s difficult to pinpoint how many of these injuries occur each year. Although this type of injury can happen to any type of athlete, it tends to be more prevalent among soccer and ice hockey players. Effective pulled muscle treatment is essential for full and proper recovery from a groin injury. Ignoring treatment may lead to a much longer recovery time and possibly worsen the injury to the point that surgery is required. 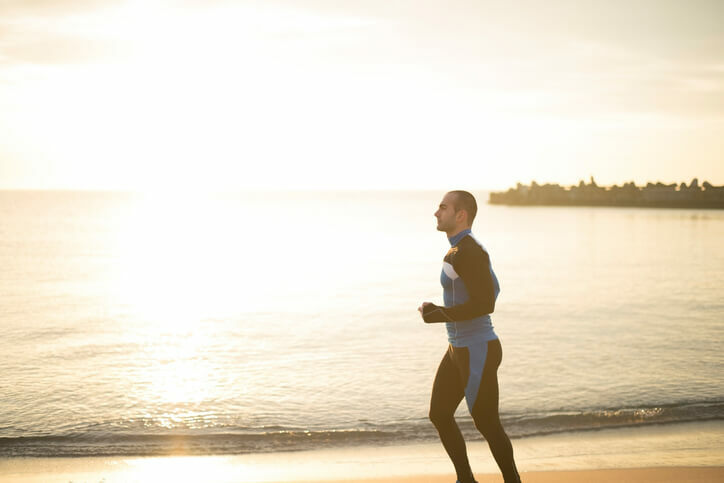 Athletes generally want to return to activity as quickly as possible.. You can’t require a patient to undergo any type of treatment for a pulled muscle, but you can recommend that they use the latest effective systems and methods to help accelerate recovery. Although it is sometimes difficult to convince athletes to significantly reduce their activity levels, rest is an essential component to full recovery from a pulled muscle. Playing through the pain might be possible, but it may only prolong recovery and could lead to larger issues. Full rest is often recommended for the first several days after a pulled muscle injury. After the initial inflammation has reduced, many athletes can introduce activities that do not include full use of the injured area, such as upper body strengthening exercises. The application of therapeutic cold and active compression can help reduce pain and swelling with little or no medication required. Cold therapy helps numb the painful area and slows nerve impulses. It also helps slow down cellular metabolism, which contributes to faster healing. Active compression pumps excess fluid away from the area to help reduce swelling, while also bringing freshly oxygenated blood to healing tissues to accelerate recovery. When combined, therapeutic cold may penetrate deeper into damaged groin muscles, helping benefits last longer. When the significant inflammation has subsided after the first phases of recovery, therapeutic heat may be introduced. Rapid contrast therapy (RCT) uses heat and cold to alternately open and constrict the vascular system. This helps increase blood flow to the injured area without causing the accumulation of additional edema, which can happen when only heat therapy is used. Like cold therapy, RCT also helps decrease nerve sensitivity to reduce pain. Many patients can benefit from learning the appropriate strengthening exercises and stretches for a pulled groin muscle. A physical therapist can also teach them more about what leads to this type of injury and how it can be avoided in the future through proper technique, good form, and warming up before activity. Pulled groin muscles can be caused by muscle weakness in the hips, a previous injury to that area, ramping up too quickly after a break between seasons, and poor form. Addressing these issues with athletes before they participate in sports is one way to help prevent a groin strain injury. Game Ready offers systems for both RCT and cold and compression therapy so you have options when treating your patients. Both systems are compact, easy to use, and convenient for athletes who want hands-free treatment. For more information about pulled muscle treatment, download our free Guide to Accelerating Hip and Groin Recovery. This educational resource can help you be more prepared for patients with pulled groin muscles, and can also be shared with them.